Welcome to this Ashton Woods Home in desirable Lake Nona – Laureate Park neighborhood, near Lake Nona Medical City. This beautiful single story home sits adjacent to a pond and features a large master retreat with crown molding, dual sinks, garden tub and a separate shower in the bathroom with a large walk-in closet. The large kitchen which opens to the family room has upgraded double-stacked cabinets, quartz counter tops, backsplash, walk-in pantry, an island and plenty of counter space. The use of large windows provide great natural light! Additional features include recessed lighting, 8 foot doors, faux wood blinds and a den. A covered lanai right off the family room also overlooks the backyard and leads to an oversized 3 car garage. Amenities include the Aquatic Center with resort style pools, fitness center, wellbeing center, walk, running and biking trails, neighborhood parks, dog park, community gardens & pocket park. Residents enjoy the neighborhood restaurant & market overlooking the water & many community social events like farmer’s market, movie nights and live music events. 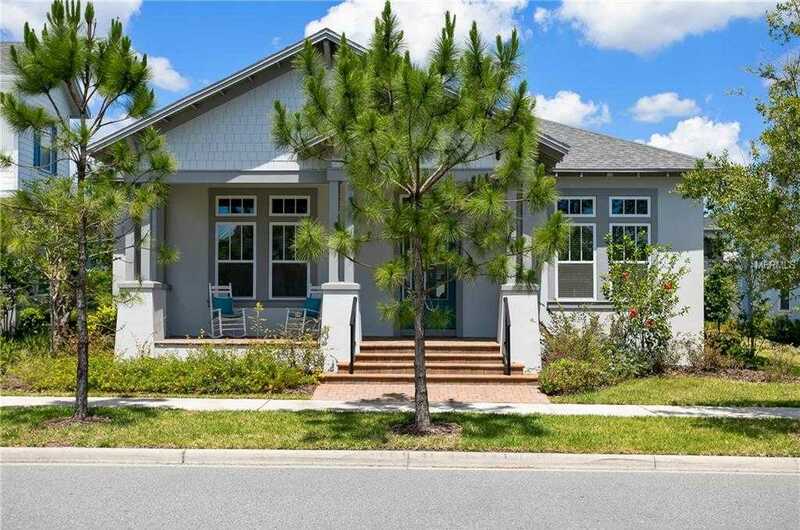 Located minutes from Nemours Hospital, USTA tennis facility and Orlando International Airport. Come and enjoy all that Lake Nona has to offer and where life is better lived! Please, send me more information on this property: MLS# O5775184 – $569,000 – 13771 Granger Ave, Orlando, FL 32827. I would like to schedule a private showing for this property: MLS# O5775184 – $569,000 – 13771 Granger Ave, Orlando, FL 32827.